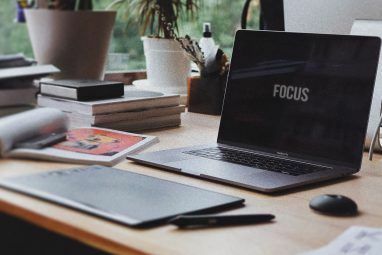 If you’re the kind of person who hits a productivity wall after a few hours of work, a Pomodoro timer could help you keep your focus. 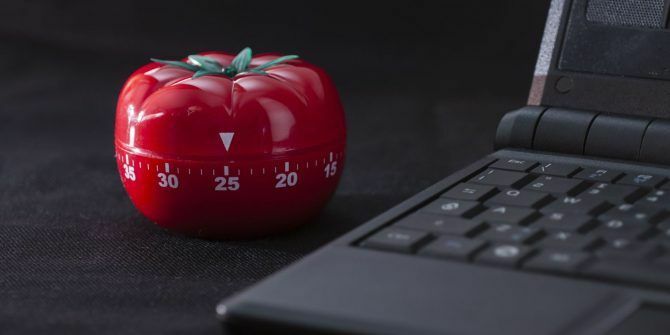 Over the past couple years, the “Pomodoro Technique” has started to infect the world. And it’s all the better for it. This productivity philosophy essentially prompts you to focus on a task for 25 minutes, then take a five-minute break. Once you’ve completed four of these cycles, you take a longer 15-20 minute break. Confused by how something so simple can make much of a difference to your productivity levels? Don’t be. It works How a Simple Pomodoro Timer Made My Life Better How a Simple Pomodoro Timer Made My Life Better The Pomodoro Technique is one of the simpler time management life hacks. Break through distractions with the help of 25-minute chunks and a timer. It could be a life-changing routine change if it suits you. Read More ! That’s because, when you set the benchmark this low — just 25 minutes of work — it’s easier for you to find focus, and just get stuck in. The short, routine breaks keep your mind fresh, and your creativity flowing. And once you’re buried in the Pomodoro cycle, the momentum is easy to keep up for hours on end. Obviously, this is in no way a complex system. All you need to get started is a timer. Sure, the default timer on your phone could do the job. But there are far better options out there on all major platforms that are certainly worth checking out. With no sign-up required and a completely web-based interface, Pomodoro timers don’t get much more convenient than this. When you land on the site, you can pick between three timers. The first is a basic Pomodoro timer, set at the standard time periods (25 minutes, with five minute breaks). The second allows you to choose custom time periods, in case those default ones don’t work for you. And the third is a standard count-down timer that alerts you when the time’s up. Each timer you set up gets its own, custom URL. This is particularly handy if you want a group of colleagues to be working on the exact same schedule. If you use Trello for task management A Guide to Trello for Life and Project Management A Guide to Trello for Life and Project Management Trello can help you get organized. It's a free tool to manage any kind of project. Read this guide to understand its basic structure, the navigation, and how Trello can be useful to you. Read More , Pomello could be the add-on you need. This is a simple timer that turns each of your Trello cards into a Pomodoro task. To get started, download the app to your computer (or to Chrome), connect it with your Trello account, and select a Trello board. You can then choose which Trello card you want to start working on, and a 25-minute timer will start to tick down. If you’re disturbed, you can pause the timer. Once you’re done with one task, you can move on to the next Trello card, helping you to power through that task back-log 10 Ways To Dig Yourself Out Of Task Backlogs 10 Ways To Dig Yourself Out Of Task Backlogs The feeling of drowning in a list of never ending tasks is a fear common to all of us. The cure is available. Here are ten ways to claw your way back. Read More with ease. Price: Free starter package, $4.99 app download, with Pro packages from $1 per month. PomoDone is one of the most impressive Pomodoro timers out there, which we’ve covered in detail before Add Pomodoro Timers to Your To-Do Lists With This App Add Pomodoro Timers to Your To-Do Lists With This App The Pomodoro technique is one the most effective ways to boost productivity, and this app can integrate Pomodoro timers right into your to-do lists! Read More . Mainly because it syncs with your existing to-do lists so perfectly. This means you don’t need to waste time adding tasks to your timer manually. Plus, when you mark a task complete in the timer, it automatically syncs with your to-do list(s) of choice! You can use the web version completely free of charge. That’ll allow you to connect the timer to two services. This is a limited list including Trello, Wunderlist, Todoist, Evernote, Google Calendar, Microsoft To-Do, or Toodledo. Productivity data will be stored for one month. If you want to download the desktop or Android app, it’ll cost you $4.99. And if you want more than two integrations (covering nearly all the popular to-do list apps To-Do List App Showdown: Any.do vs Todoist vs Wunderlist To-Do List App Showdown: Any.do vs Todoist vs Wunderlist Some to-do list apps stand head and shoulders above the rest. But how do they compare and which one is best for you? We'll help you find out. Read More ), Pro accounts start from $1 per month. As another super-simple option, Pomodoro Tracker is a completely free, web-based option. 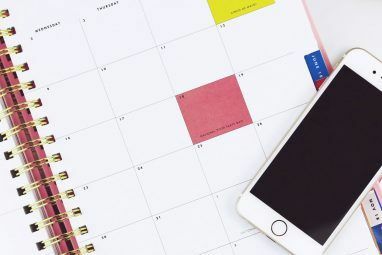 At the beginning of each day, add each of your to-do items 7 Tips to Better Manage Your To Do List 7 Tips to Better Manage Your To Do List Does your to-do list cause you nightmares? Maybe you're trying to get done too much at once. It takes a sensibly compiled task list for an efficient workflow. We can help. Read More to the list on the site. This only takes a couple of minutes. When you’re ready, hit Start and the timer will guide you through your tasks, sounding an alarm each time you’re due to take a break. Click the Settings button, and you can change the duration of each cycle and break, and also change the volume of notifications. If you want to save your task history, you’ll have to sign up for a free account. Although it’s not available on desktop or web, Clear Focus is still a great option if you like to work with your phone by your side. With the free version, you simply type the name of your task, then hit Start. Each of your Pomodoro cycles will be tracked, so you can see your progress among a bunch of useful charts within the app. If you want to change the default length of each session and break, you can do that too. There’s also the option to upgrade to the Pro version for $1.99. This’ll give you access to different themes (including a dark theme The Best Windows 10 Dark Themes for Your Eyes The Best Windows 10 Dark Themes for Your Eyes Windows 10 has its own dark theme now. But try these other Windows dark theme customizations too and prevent eye strain. Read More ), a pause button, and the ability to turn on “continuous mode”. Bear in mind, you do not need an account to use Clear Focus, so all data is stored on your phone. At the time of writing, there is no way to export your data. Personally, this is my favorite Pomodoro Timer. Very simply put, this is not a task management app, there are no integrations to worry about, and no account to sign up for. This is pretty much just a timer, with a bit of gamification built in. And unless you want to try out some custom timers, the free version should be absolutely fine. As with most of these apps, you can change the default time periods to be as long or short as you like. You can choose how many work sessions you want to include in each Pomodoro cycle (here called a “Round”). And you can choose how many work sessions you’re aiming to complete during the day. At the bottom of the app, it’s easy to see where you’re up to, how many rounds you’ve completed, and how you’re progressing toward your daily goal. There’s also a “Charts” tab showing you how much work you’ve completed recently. Available on: Mac. Pro version also available on iOS. Neatly tucked away in your Mac’s menu bar, this discreet timer allows you to configure the timings of Pomodoro rounds and breaks. As with Focus Keeper, you can also set the number of focus rounds you hope to complete during the day. When you want to check out how you’ve been performing, there’s also a pretty impressive reporting feature built into the app. 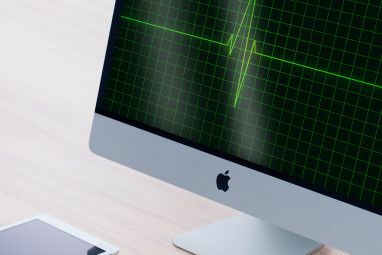 If you’re happy tracking your productivity just on your Mac, the free version will serve you well. But if you want to access and sync the app on your iOS devices, you’ll need to splash out on the $4.99 premium app. Another highly rated Pomodoro Timer, Focus Booster is definitely worth checking out. As a basic timer, with customizable time periods, the free version is fine, though it is limited to just 20 sessions per month. But it’s the paid version that earns Focus Booster its place in this list. For “less than the price of a coffee per month”, you get access to an impressive array of charts to help you get a deeper understanding of your work cycles. But more than that, you can also use the timer as a way to track the work you do for clients 4 Best Time Tracking Apps for iPhone 4 Best Time Tracking Apps for iPhone Time tracking can help you take productivity to the next level, and these great iPhone apps make it easier than ever. Read More . You can save full or partial Pomodoro sessions to individual time sheets to help make invoicing less painful. And if you forget to use the timer when completing a task, you can always add this to the time sheet manually. This is basically a timer for people who’ve fallen in love with this productivity technique, and who want to take the Pomodoro philosophy to the next stage. Which Timer Will Make You Most Productive? There’s a lot of similarity between all Pomodoro timers. After all, they’re each modeled on the same productivity technique: 25 minutes of work, followed by five-minute breaks. Complete this four times, and you get a longer break. It’s simple, but so many people credit this technique with helping them to skyrocket their productivity Squeeze an Extra Hour out of Each Day with These 10 Quick Tips Squeeze an Extra Hour out of Each Day with These 10 Quick Tips A few simple habits can help us shed some inefficient ways and increase our reservoir of time doing the things that matter. These ideas can get you one extra productive hour every single day. Read More . Why not give it a go? Use one of these simple timers to make the whole thing easier, and let us know if this productivity technique is useful to you! Explore more about: Focus, Task Management, Time Management.